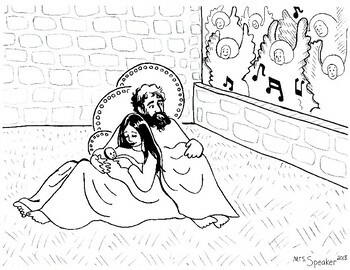 Hand drawn coloring page of Mary, Jesus and baby Joseph on the first Christmas with angels singing out the window. Joseph looks worried in reference to medieval and renaissance depictions. Copying permitted for classroom use only.